For more then 25 years, Plagron has been a supplier of high quality soil and later also various nutrients and additives. Raised from a small company that develops worm humus to an international company that is valued for its high quality nutrients for plants. Plagron is suitable for all kinds of plants but is also widely applied to the cannabis plant. Thanks to the environmentally friendly products and a biological line, Plagron is ideal for organic cultivation of cannabis. With products such as Green Sensation you get more yield, with Sugar Royale your cannabis plants get more compact buds, and with Power Roots the growth of the roots stimulates and increases the resistance of the plant. The Terra line is for everyone who likes to get a good result quickly. With this cultivation style you can cultivate at your own discretion, this offers a lot of flexibility. 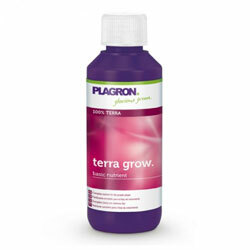 The Plagron 100% Terra fertilizers contain mineral nutrients and trace elements that ensure rapid and complete absorption, a simple and safe growth cycle and healthy, fast growing cannabis plants. With the Terra power supply you can expect a high yield. 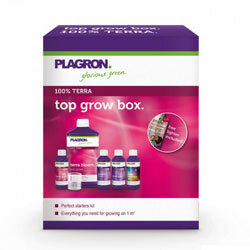 Terra Grow: Nutrients for during the plant’s growth phase. And various additives such as: Power Roots, Pure Zym and Green Sensation. Choose the 100% Natural line if you prefer cannabis with the best aroma and taste. All fertilizers of this cultivation style are suitable for organic agriculture and horticulture (CU certified). The basic nutrients Alga Grow and Alga Bloom are organic fertilizers based on algae. These algae ensure healthy growth and flowering of the cannabis plant. An advantage of this organic line is that you do not have to measure the pH and EC value because an EC meter can not measure all organic fertilizers. This makes it very suitable for beginning growers. The biological life in the earths from this organic breeding style regulates that the nutrients remain available for your plants and help to stabilize the pH value. Therefore, it is also not necessary to measure the pH value. Buy the Top Grow Box Natural with all the necessities for organic farming on 1 square meter. Growing on cocos has the advantage that you can grow hydrologically in pots and do not necessarily need to install an automated hydro system. It is a middle way between growing on earth and hydro. A coconut substrate works like a sponge, it can hold a lot of water and at the same time remains airy. 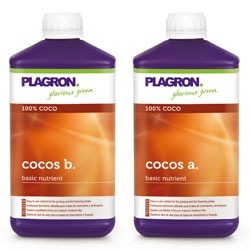 Plagron coconut substrates are one of the purest and best rinsed substrates currently available on the market. This makes it easy to water your cannabis plants optimally. In addition, the 100% COCO culture style does not guarantee pH fluctuations in your substrate. The 100% HYDRO growing style is reserved for the experienced cannabis grower. This line is suitable for hydrological growing and maximum control during the cultivation process As a grower, you are responsible for the pH value and you determine the nutritional value yourself. You can adapt your cultivation process to the requirements of your cannabis plant. This cultivation style requires experience of measuring the EC em pH value, calibrating pH meters and adjusting the pH value in your nutrient tank. The additives of plagron are universally applicable and can be combined with all cultivating styles. Keep in mind that each additive works differently depending on the style you use. One of Plagron's most popular additives is Green Sensation. This powerful top booster contains four different products in one bottle. By using Green Sensation you can reduce the basic butrients to as much as 50%. Thanks to the unique composition of Green Sensation, your cannabis plant is supplied with all the nutrients they need. It provides an exuberant flowering and top formation, a hard cell structure of the plant. 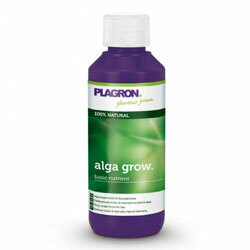 With the additives from Plagron you will grow compact weed with a high yield and a better taste! On the following page you will find more information about the different growing styles (Terra, Hydro, Cocos & Natural), and all Growing Schedules from Plagron.